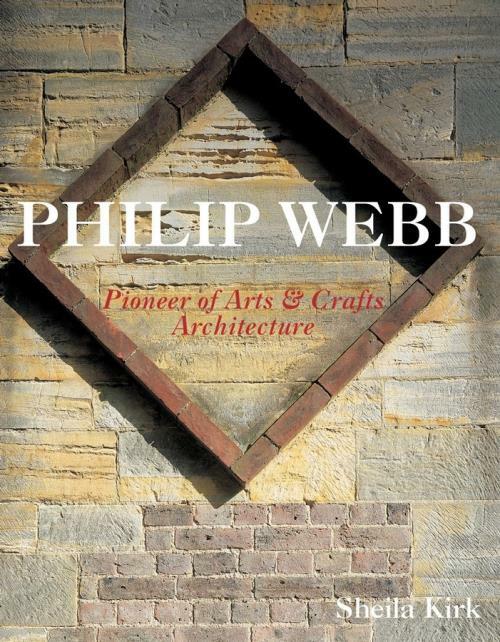 This is the definitive book on Philip Webb (1831 1915), a key figure in the Arts and Crafts movement and a leading member of the Pre–Raphaelite circle, who has since emerged as one of the most important architects of the nineteenth century. It provides a comprehensive account of Webb s design philosophy, his architectural work and his influence, while also telling his fascinating life story. Combining architectural history and biography, the compelling narrative gives a full picture of the character of this extraordinary man a man known for his absolute integrity, who shunned publicity but nevertheless attracted clients of high status and came to be one of the most significant architectural innovators of his age. Interspersed with vivid descriptions of Webb s buildings, it covers his relationships with his clients, contractors and artistic contemporaries. These include his close friends in the Arts and Crafts movement, William Morris, Edward Burne–Jones, and Dante Gabriel Rossetti, who were also three of his fellow partners in the interior decorating and furnishing business, Morris, Marshall, Faulkner & Co.. As well as covering Webb s work for the firm, the book includes his involvement with the Society for the Protection of Ancient Buildings, which he helped Morris to found, and for which he developed influential methods of repairing buildings unobtrusively. During the later twentieth century, Webb was cited as a pioneer of Modern Movement architecture. This obscured the extent of his influence on Arts and Crafts architecture, which was acknowledged during his actual lifetime. Aimed at the wider public, as well as the academic world, this is the first publication to include a systematic and detailed analysis of Webb s philosophy and all his work. It is lavishly illustrated with new photography by Martin Charles, and plans, drawings, and archive photographs, which are brought together for the first time. Chapter 1 The Early Years. Chapter 2 Red House, Bexleyheath (1858 59). Chapter 3 Morris, Marshall, Faulkner & Co.
Chapter 4 The Middle Years. Chapter 5 The Studio–Houses, and the Queen Anne Style. Chapter 6 Webb s Approach to Architectural Design, and its Influence. Chapter 7 The Country Houses. Chapter 8 The Society for the Protection of Ancient Buildings. Chapter 9 Alterations and Enlargements. Chapter 10 Webb the Socialist. Chapter 11 The Smaller Houses. Chapter 12 The Non–Domestic Work. Chapter 13 Webb and his Clients and Contractors. Chapter 14 The Last Years. Bibliography and List of Sources.